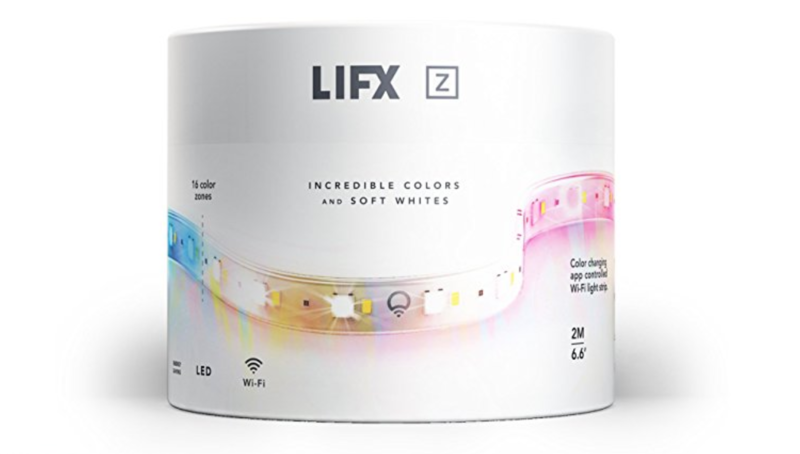 Lifx has released a new version of its Lifx Z light strip starter kit, with one key addition: it now supports Apple’s HomeKit smart home system. The updated Lifx Z also still supports Alexa and Google Assistant, so you’ll be set, no matter which tribe of smart home gear you pledge allegiance to. If you already have Lifx Z lights, don’t worry: the company is also selling a $39.99 controller upgrade that you can swap in to add Homekit support to your existing setup. The Lifx strips don’t require a hub; they connect directly to Wi-Fi instead. They also support up to 16 million colors, are dimmable, and can be divided into eight separate controllable zones for even more configurability. Plus, the strips are compatible with Lifx’s other light systems, like the Tile panel or Beam rails. The Lifx Z Starter Kit with HomeKit costs $89.99, which is roughly $10 more than the older version without HomeKit, and includes two 3.3-foot light strips.